The Rolston String Quartet—jointly named one of CBC Radio's Hot Canadian Classical Musicians Under 30—stormed onto the international classical music scene this past year with sold-out concerts in Europe and North America, performing at the Smithsonian, the Kennedy Center for the Performing Arts, Koerner Hall at the Toronto Royal Conservatory of Music, and the Esterhazy Palace. 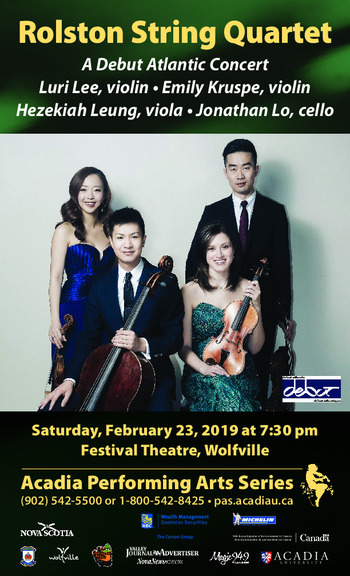 First Prize winner of the 12th Banff International String Quartet Competition, the quartet also won First Prize at the 31st Chamber Music Yellow Springs Competition, in addition to scooping awards at the inaugural M-Prize Competition and the Durosoir Prize at the 2016 Bordeaux International String Quartet Competition. The quartet currently serves as Graduate Quartet-in-Residence at Rice University's Shepherd School of Music. 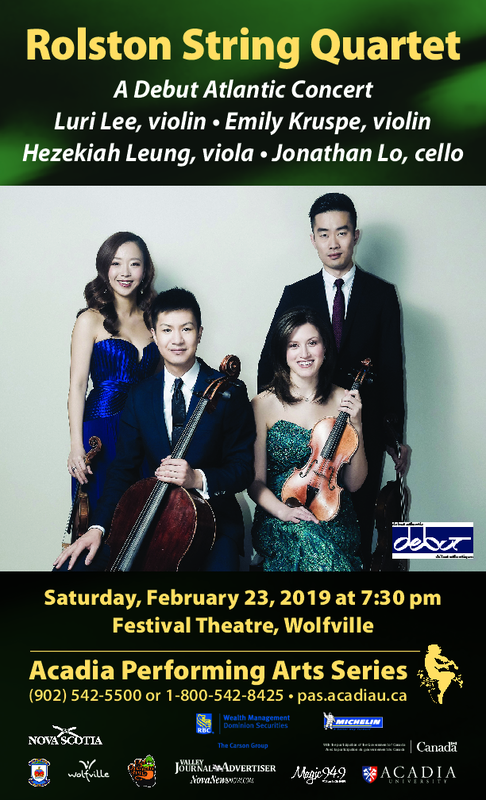 For this concert, the Rolston String Quartet will perform a program that includes works by Haydn, Schafer, and Beethoven.